2010 was one of our best years in many ways. We haven’t had a bad one, mind you. We realized today we started Airstreaming seven years ago this year. Four of the less than seven we’ve been full-time in our 25′ Airstream travel trailer. All four years have been wonderful, exciting, different and often surprising. stays at a wonderful pair of resorts. 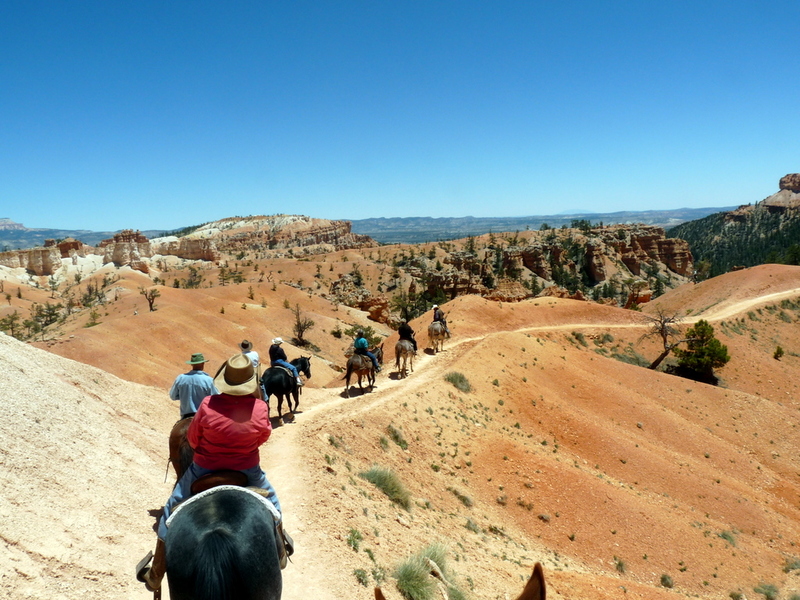 guided tour throughout our country’s southwest was wonderful. Our caravan leaders arranged tours, boat rides, and other special treats we either would have missed by scrimping or just wouldn’t have known about on our own. Too, we enjoyed the company of many friends while trying to absorb the wonders in six weeks of sightseeing. incomparable municipal recreation center; join the local ham radio club for breakfast at Granny’s Kitchen; browse and restock on electronic parts and custom cables from Chris Supply; participate in amateur radio’s annual Field Day with our WBCCI Amateur Radio Club; enjoy terrific convention management by the CAMPLEX staff; and celebrate another successful annual Airstream WBCCI rally. We had a great month in Gillette! 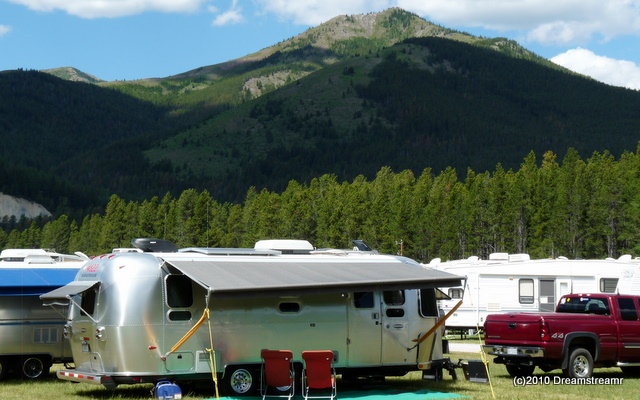 More than two years ago Dave Blum kf4gtj (SK) and Jim wanted to briefly slip away from our Airstream caravan’s tours for a look at the oldest continuously running hamfest in the world, the Glacier-Waterton International Peace Park Hamfest. 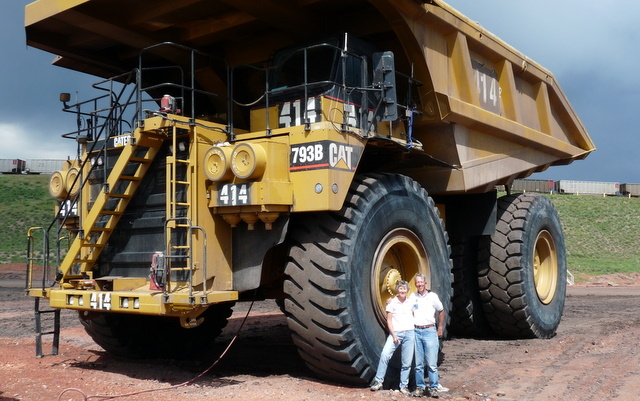 Dave and Jim didn’t make it then but it remained on their bucket list. We (Jim and Debbie) put it on our agenda for 2010 and enjoyed a week in East Glacier with the best international group of hams we’ve been with. Great weather, great scenery, great radio folks — This was a fine week. 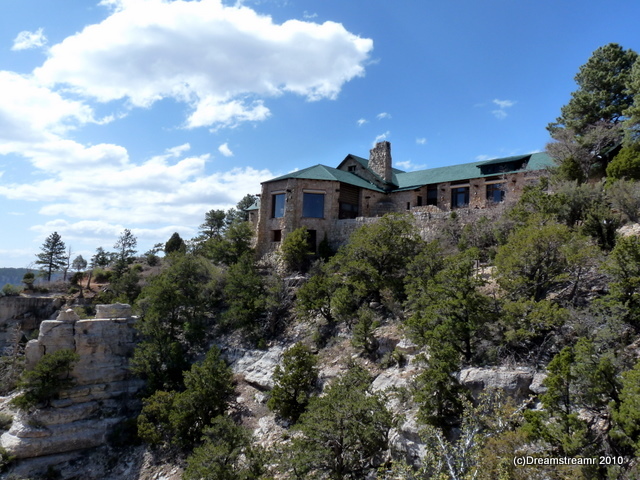 Debbie and Jim are divided on which was the best National Park we visited — North Rim of Grand Canyon, or Zion, or Mesa Verde. We visited probably at least a dozen throughout 2010. These three were our clear favorites for the year, and all were stupendous for roughly similar reasons. 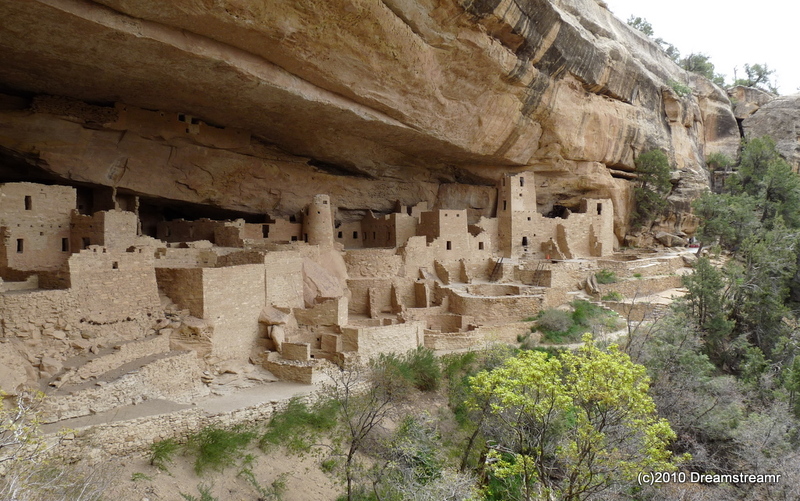 Mesa Verde wins out for being the least crowded and still providing stunning history and scenery. 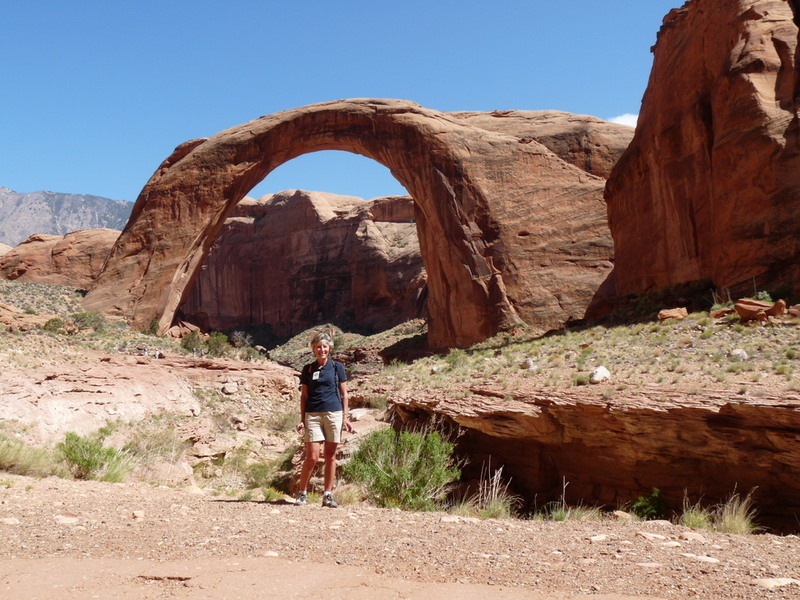 Zion has incomparable hikes and public transit and a very accessible but separate town site. North Rim gave us an inch of overnight snowfall, very nice days, such a great old lodge, and more views than we ever could have imagined. How do you pick one best one? 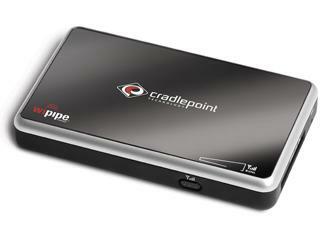 Hands down, no equivocating, our best purchase for the year is our Cradlepoint CTR-500. Our Airstream trailer is a mobile WIFI hotspot and we are radioactive! Okay, only figuratively, but for us nothing beats the convenience of our own mobile wifi network. We work three laptops, an iPad, and an iPod Touch. Friend Bob Simms highly recommended the Cradlepoint to us, and we owe him many megabytes for our happiness with local wifi. All devices tune effortlessly and quickly to the wifi, the Cradlepoint can support up to 32 devices at a time (but please don’t ask us to share, okay? ), and we don’t mess with VZ Access anymore. Wifi is good. We don’t usually stay in resorts, national or state or provincial parks are more our speed. But several years we have stayed in two resorts, one in British Columbia and the other in Mesa AZ. Burnaby Cariboo RV Resort 17 km east of Vancouver BC is really really nice. But Towerpoint Resort in Mesa has it beat hands-down. Towerpoint is a premiere tennis resort with five gorgeous hard courts, two hot tubs, two swimming pools, and too many excellent facilities to mention. If we weren’t tennis players, we’d find plenty else to occupy us at Towerpoint. And the people are wonderfully friendly and supportive. Towerpoint is clearly the best resort we visited last year and we look forward to many more visits. The best short description for our past year is “active”. 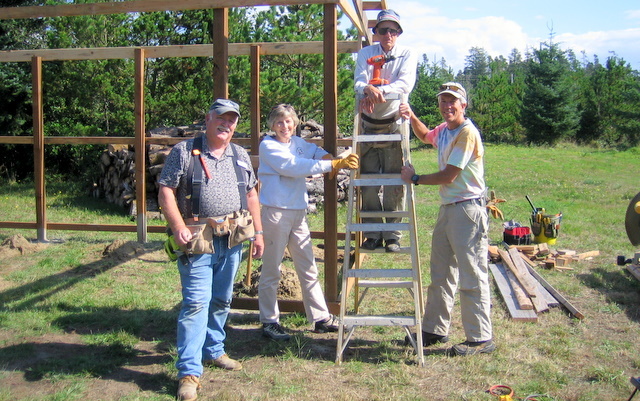 We saw a lot, participated in a lot of guided tours, hiked and toured many places, volunteered three weeks at Ocean Park Retreat on Washington state’s coast on mission work with NOMADS, played tennis all winter in Mesa AZ — we had an active year. Yet we moved fewer times, stayed longer in places. Three months in Okeechobee FL, a month in Gillette WY, five weeks on Washington state’s coast, three months in Mesa AZ. We might be getting the hang of this full-timing thing, living throughout the continent. Life on the road as full-timers, as a recent responder reminds us, isn’t vacation — it’s life (thanks, Sue, for the excellent phrase) on the road. Our house has wheels, but it doesn’t require constant rolling. We can stay in one place awhile if we want. We’re enjoying our environs more as we dig a little deeper in each locale. You’ve absorbed all you can in one reading — we’ll save some highlights from last year for another day.